Hello, weekend! I thought you’d never arrive. Seriously, though. How this week was just a 4-day workweek is beyond me because it felt like the longest week ever. I have lots of plans this weekend, which means it’s going to go by in about 4 seconds, but at least it will be fun. I’ve been loving working on these posts, so I hope you’re enjoying them! See you on Monday for another recipe! In the meantime, here are some of my favorite things, reads, and blogs for the week. It only took me about 38 years, but I’ve finally discovered a love for podcasts. I’ve been listening to them non-stop in the kitchen (mostly food-related!) and have recently started playing a few at work if I’m working on a task that I don’t have to totally focus on (like monthly spends and time tracking). 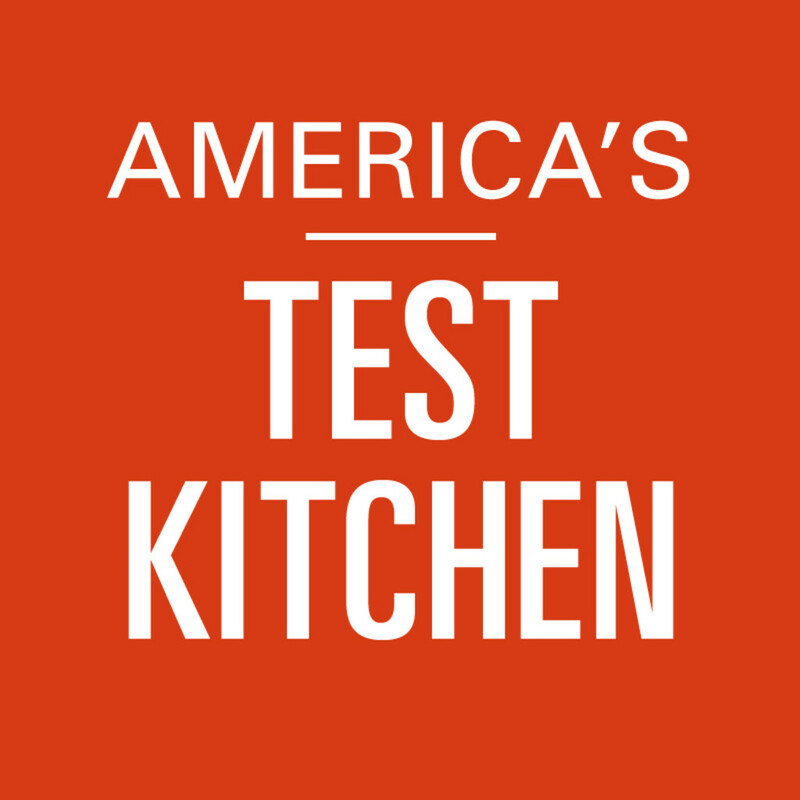 In the kitchen, my absolute favorite is the America’s Test Kitchen Radio podcast. I also love The Splendid Table and Burnt Toast. I actually went back and listened to a lot of old ones, too. At work, I love Happier with Gretchen Rubin. Of course, I’m psyched for the next Serial to come out, too! OMG. I saw this at the grocery store, thought it sounded a little weird, and then bought it anyway. I’m obsessed. I’ve never even heard of the Eat Well Embrace Life brand, but they have some crazy interesting flavors. 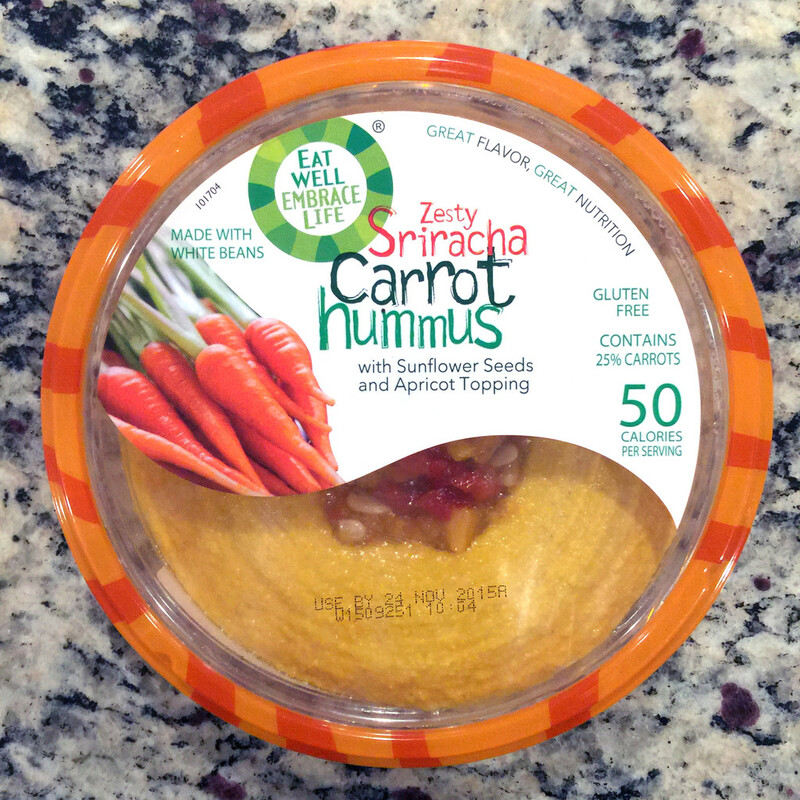 I ate the carrot hummus with carrots, which was probably kinda odd, but it was delicious. Another thing it took me way too long to love. Candy bark is such an easy treat to make and is pretty much always delicious. 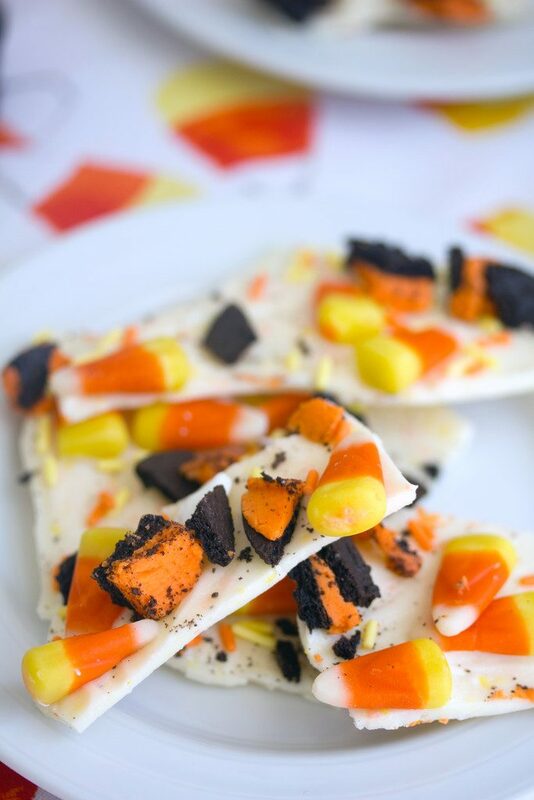 I made this candy corn bark last weekend with Wilton’s Candy Corn Candy Melts and it’s basically heaven. I was going to dedicate a blog post to it, but my photos didn’t come out that fabulously and then I saw that the lovely Julianne of Beyond Frosting made almost the same thing, but with an Oreo crust and peanut butter candies. Sooo, I guess I’m going to have to get more of those candy melts! This is What the Ultimate Dream House Looks Like on Pinterest: E! Online priced out the ideal home, based on the most popular images on Pinterest. As you would expect, it’s totally gorgeous and will cost you at least $2,522,140​. The World’s 50 Best Bars for 2015 Announced: I haven’t been to any of these, so clearly I need to get started ASAP. Living Near Happy Friends Has the Greatest Effect on Your Own Happiness: I 100% believe in this. Negativity really does breed negativity and happiness is infectious. Why Doesn’t Anyone Have Parties Anymore? : This was a really interesting read on the changing of the times. I’m lucky that my best friend throws the most awesome parties ever. She and her husband are naturals at it! Danny Meyer Restaurants to Eliminate Tipping: I’m loving this concept and hope it takes off. I don’t believe it will negatively affect service because restaurants will end up taking the hit (through complaints, no return business, etc.) for bad service and will work to make sure their servers are the best of the best. So many flavored milks all in one gorgeous macaron form. 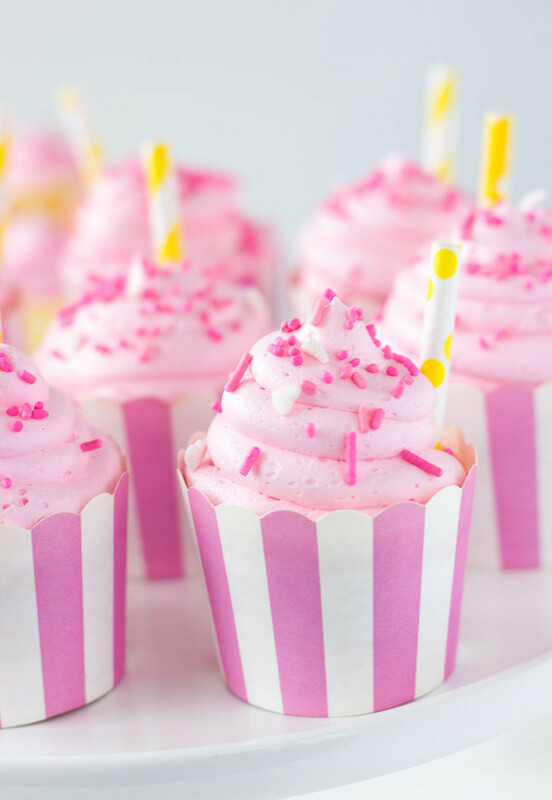 I bet these are delicious! 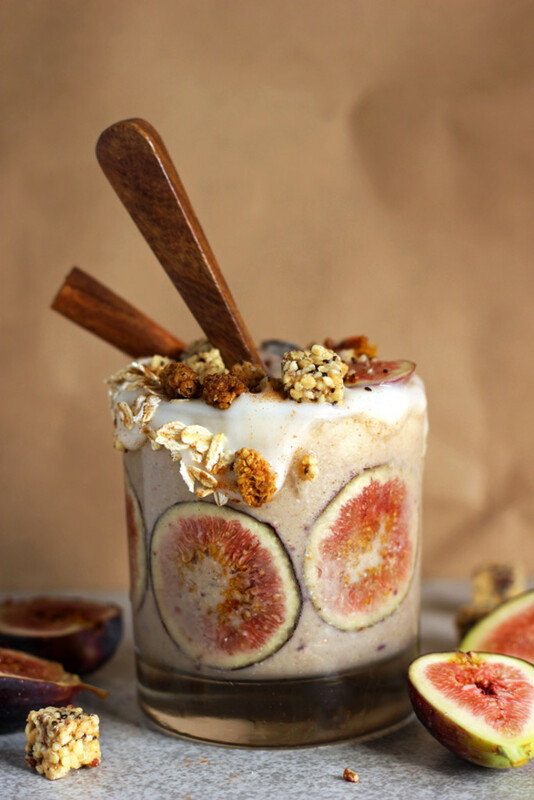 This makes me feel the need to step up my smoothie game immediately. And also go to the store and buy all the figs before they go out of season. 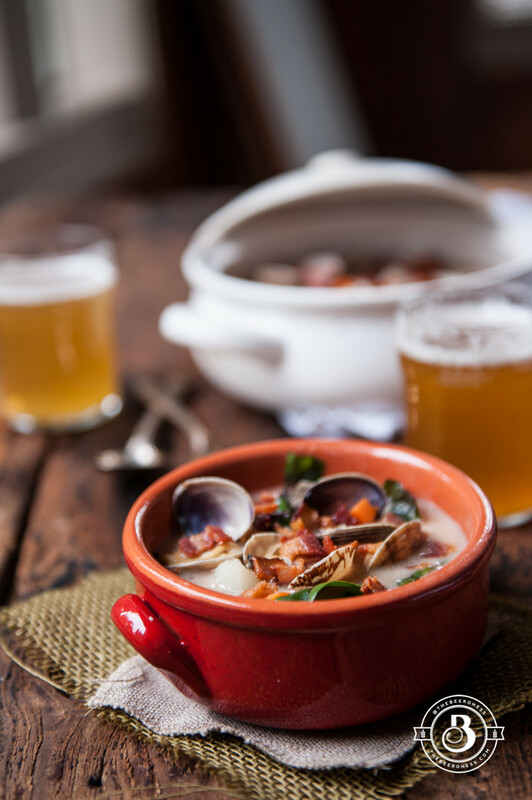 Chris has been begging me to make clam chowder for a while now and something tells me this is the perfect one! 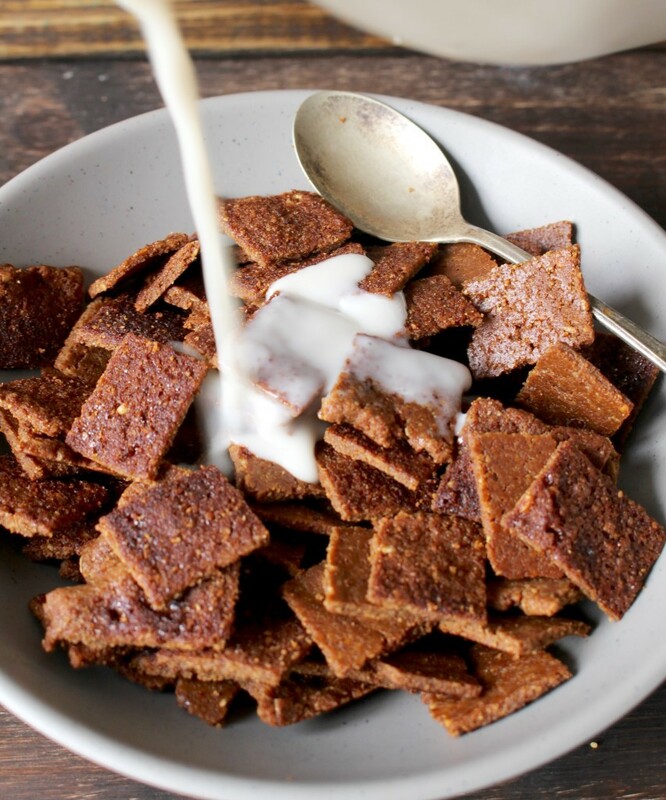 Homemade Cinnamon Toast Crunch? That’s much, much healthier than usual? Sign me up! Prettiest cupcakes ever. And baked to help support the fight against breast cancer. How can you not love these?? I hope you all have the most wonderful weekends filled with family, friends, and delicious food. And lots of cocktails and beer and wine, too. If you’re into that. Which you probably are if you’re reading this blog! 5 Responses to "Friday I’m in Love #3: I’m Always Late to the Game"
If you’re into podcasts, you should check out the Missing Maura Murray podcast. Maura Murray was a UMass Amherst student who crashed her car and disappeared in 2004. The podcast started in July and is still going on. There’s a new episode every week. It’s totally addictive. Some really weird things happened to her right before she went missing, too. That hummus sounds interesting and the bark amazing! 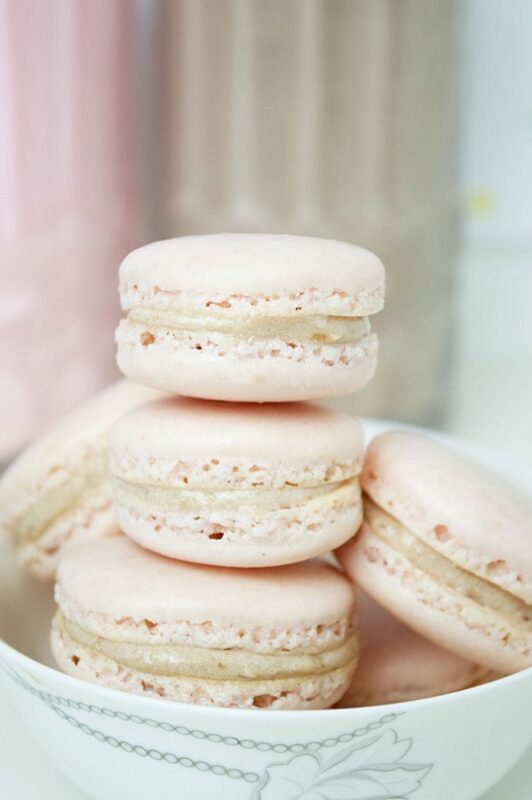 Oh my gosh, thank you so much for mentioning my macaron recipe!! Btw, I am SO with you on the amazing-ness of podcasts! You are probably the 56th person to mention how great Serial is as well, so I’m gonna have to get on that!